The Samsung Galaxy Note 9 has been out for a while now. Different from Galaxy S series the Samsung’s Galaxy Note phones have always been about more. Larger screen, larger battery, better specs, more power and more features. So if you want more of something the Note is the phone to get. The new Note 9 has the best features of any Note phone. It has the biggest 6.4’’ screen, the fastest 10㎚ 64-bit Octa-Core processor, Android 8.1 (Oreo), the biggest 4000mAh battery, the largest built-in 128GB storage and the most features including a new S Pen with remote control, camera with dual aperture and Samsung Dex. All features above are fascinating which are the totally Note phones’ style. And today what we are most concerned about is the battery power. From the official specifications the Note 9 is equipped with a powerful all-day 4000mAh battery that is the largest battery you can get in any Samsung phone. It’s 500mAh bigger than the battery in S9+ and a full 700mAh larger than Note 8. 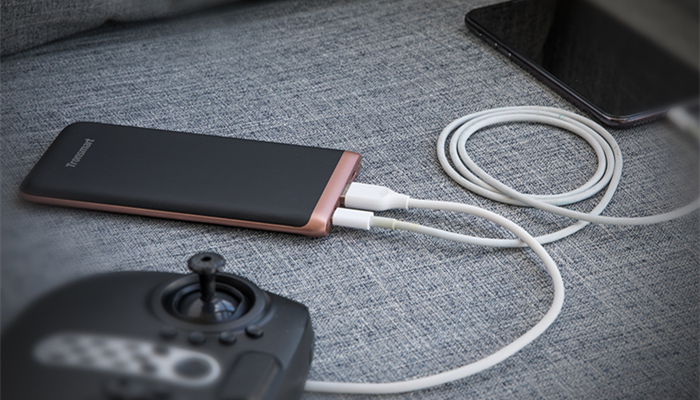 That 4000mAh means you can go the distance in a single charge without being tethered to a charger. But we all know that Android phones always have apps running in the background that consume more power than necessary. We’re also constantly spending more time on our smartphones from the first moment we wake up till the last second to fall asleep. 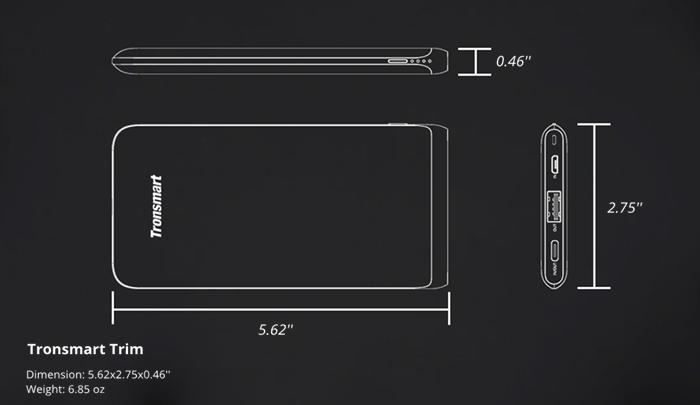 So even the battery is larger it’s also limited and that’s where a portable power bank will always be helpful. 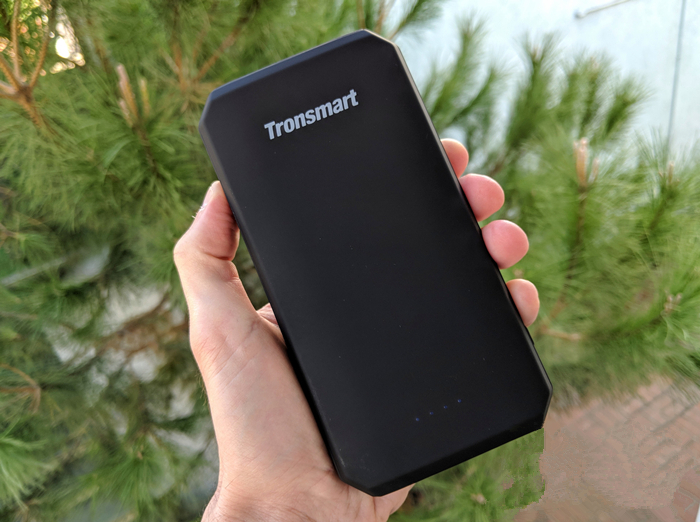 If you are looking for the best power bank for your new Galaxy Note9 then Tronsmart has selected two for you. Trim 10000mAh is the latest external battery of Tronsmart power line. 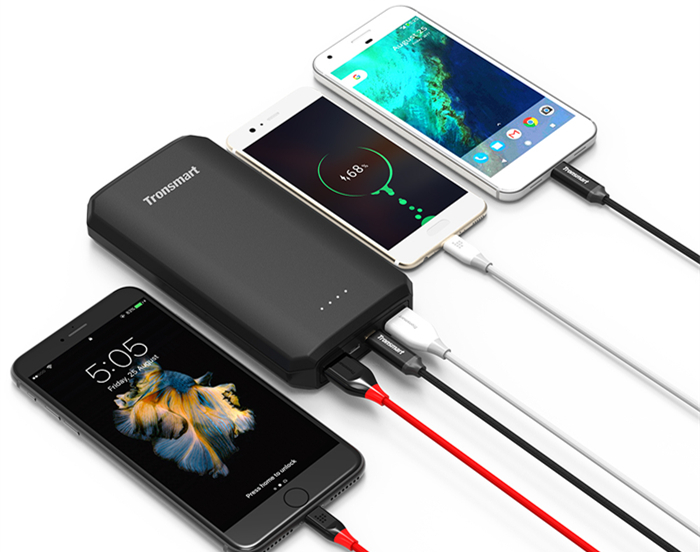 It is equipped with the latest Power Delivery technology and 10000mAh high capacity in a 0.46’’ slim size which can be called the world’s slimmest 10000mAh PD power bank at present. The USB Type-C port can output 18W which is perfect for your smartphones, tablets, GoPros and more. Compared to other ordinary 10000mAh power banks that take about 10 hours to fully recharge the Trim through USB-C can recharge in 3-4 hours. 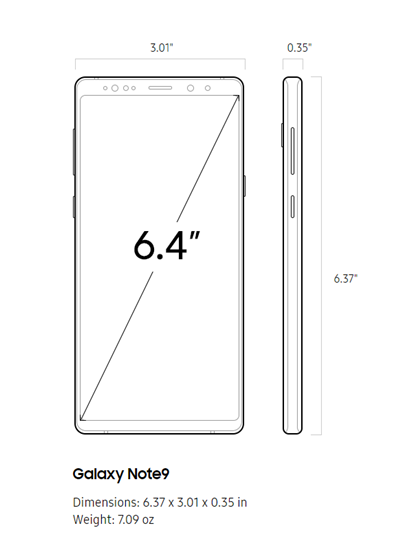 The Trim is also light at only 6.85 oz which is lighter than your Note 9 that weighs 7.09 oz. Besides the Note 9, it’s capable of charging the Huawei P10, Mate 9, Nintendo Switch and other USB-C powered devices. The Edge 20000mAh is a great option that allows you to charge 3 devices simultaneously. It’s equipped with a Quick Charge 3.0 port, a Power Delivery USB-C port and a standard 5V/2.4A USB-A port. The Edge 20000mAh is much smaller than other power banks of the kind. No others pack into their compact housing as many recharges at a speed on par with this one. Qualcomm Quick Charge 3.0 is compatible with Quick Charge 2.0 & 1.0 that is for Galaxy Note9 since its wired charging compatible with QC2.0. In addition, the Edge 20000mAh also is compatible with Huawei FCP devices.